Looking for a great pharmacy where I can get cheap and trusted pills online, I stumbled upon OnlinePharmaShop.com. With a beautiful layout of the website, the first thing I noticed was the absence of an ‘About Us’ page on the website. One other thing that was obviously missing from this internet pharmacy is the copyright information of the website. This not only prevented me from knowing where they were operating from, it also set me back on the number of years the e-store has been in the business. Looking at other pieces of information on Online Pharma Shop website, it seems that the business is based in the United Kingdom. On the side is a category list of pills being offered, and Online Pharma Shop did have quite the options. 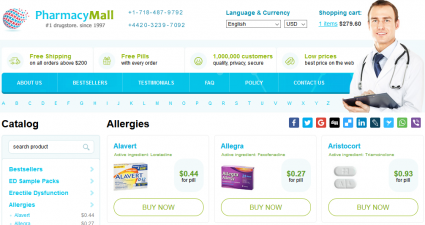 However, the categories list was just stock with options of the main assortment of this e-store – acne medicine. 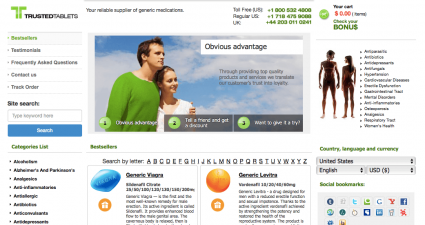 There was no erectile dysfunction pill to be found on Online Pharma Shop. Not even the popular trio of Viagra, Cialis and Levitra was visible from anywhere on the website. They did have Roaccutane as the main deal, selling each pack of this acne medicine for some deal price. It was also said that the medicine sold on Online Pharma Shop were made out of Germany, and none of them required the customer to have a prescription. Speaking of missing information, there is no mention of the FDA approval status of the medicine sold. Payments for orders are done via credit cards only, after which the order starts to get processed. After the processing is done, the e-pharmacy then sends out the pills on DHL for those in Europe. However, no information was provided for customers in other parts of the world. For this region, the shipping and delivery take a total of just 2 days. Reaching customer care support was restricted to the use of toll-free numbers for those in the US and UK. For others or those who are not interested in calling, Online Pharma Shop could easily use the generic email forms on board the website. Good enough, there is a return policy for if the medicine is near its supposed expiration date. The full amount of the order and shipping cost is returned to the customer. Likewise, there is an outright refund policy if the goods received are damaged, the customer doesn’t get their package or the package has reached its expiry date. After lauding the speed of transactions, there was another reviewer who just left their name as ‘Summary’ and agreed with the same point. A decent review so far and some great user reviews were not enough to make OnlinePharmaShop.com escape the wraths of independent analysis websites. LegitScript.com thinks that this is a Rogue internet pharmacy, for reasons best known to them. The opinion of ScamAdviser.com is not far behind. The internet pharmacy was rated 41% on safety scores, deemed as unpopular among buyers and suggested to be threat-listed. Finally, the location was given as the US, even though they might really be operated from the Russian Federation. Not to waste time, there were no discount options found on the website. Not even a simple coupon code or promotional offer code be found. Maybe this was a seasonal thing and wasn’t just found as at the time of the review, or that’s just how Online Pharma Shop likes to operate its business. The absence of an About US page doesn’t look good on anyone. 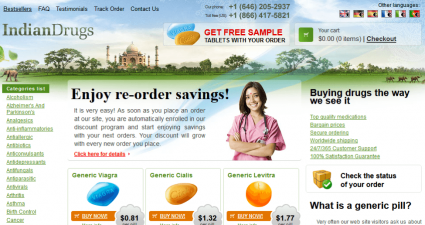 It is not even known what kind of reputation Onlinepharmashop.com has been able to garner on the internet since their number of years in operation was not stated. On the back of that, there was no way to certify if the pills have been certified by the FDA or not. 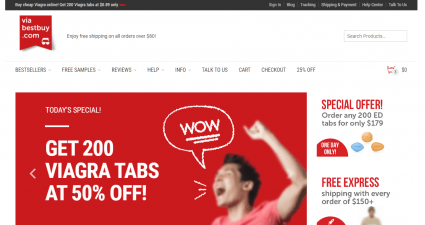 Looking at the ratings from independent analysis websites, Online Pharma Shop is considered a threat, and the owner might even be hiding their real location – which they didn’t even provide in the first place. Overall, I would rate Onlinepharmashop.com just 2 out of 5, and would buy my acne medicine elsewhere should I need it.